ALIVE Rescue is an animal rescue that protects the lives and the rights of animals. We believe every animal has the right to a well-balanced, socialized and fulfilled life. We take on the responsibility to save, rehabilitate and place abandoned, abused and stray animals. We provide medical, behavioral and physical support for animals despite their age, health and/or breed. ALIVE promotes sustainable living and care giving by building awareness, appreciation and respect for all animals and the environment within our communities. 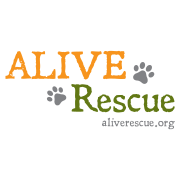 ALIVE Rescue is a volunteer run organization who rescues cats and dogs who would otherwise be euthanized. ALIVE is proud to be the first green animal rescue in Chicago. Would you recommend ALIVE Rescue?